The KICKER® CompVX™ features cutting-edge technology for truly musical, distortion-free bass. 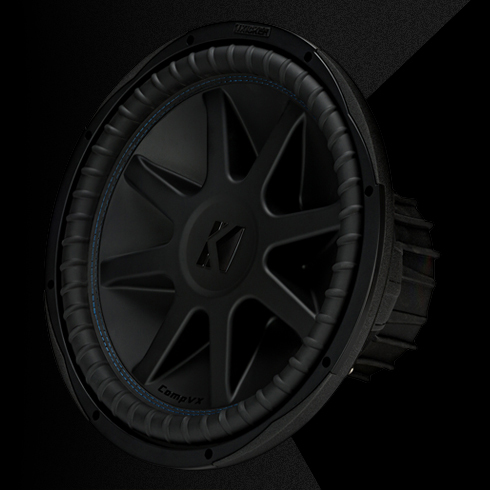 High-temp dual voice coils deliver the power, while a solid pole piece provides more mass to subdue additional heat. A T-cut top plate creates a wider magnetic field for stronger bass response, and better sound. 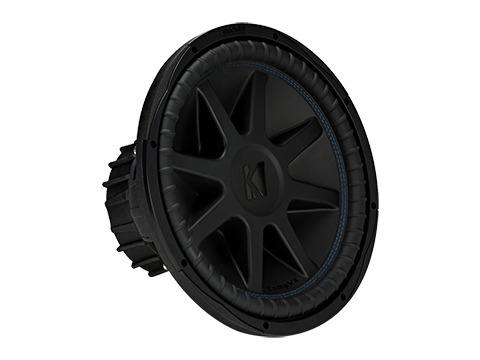 It all comes together to form a super-reliable motor structure found only in a KICKER subwoofer. 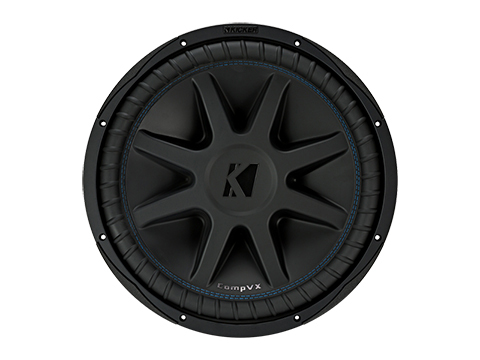 *The CompVX 15-Inch Subwoofer works best with a sealed or ported enclosure and 1000 watts of recommended power. See below for more details.